#14 Rated co-op - Riverside Dr./West End Ave. 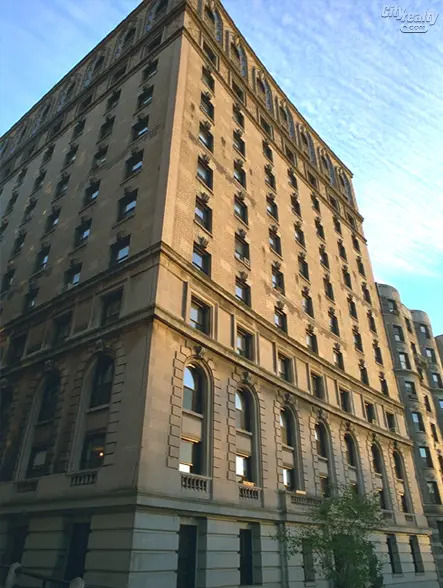 The Peter Stuyvesant apartment building at 258 Riverside Drive on the southeast corner at 98th Street is one of the best buildings on Riverside Drive, and in the city, because of its fabulous arched windows on the top floor that are outlined in deep, vibrant blue glazed terracotta. Erected in 1912 and converted to a cooperative in 1988, this 13-story building has 51 apartments. It was designed by William Rouse. "The Peter Stuyvesant apartment building at 258 Riverside Drive on the southeast corner at 98th Street is one of the best buildings on Riverside Drive, and in the city, because of its fabulous arched windows on the top floor that are outlined in deep, vibrant blue glazed terracotta.